1. 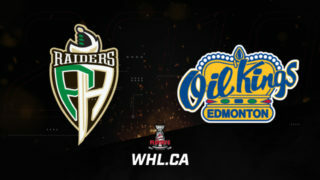 Sean Montgomery, Prince Albert Raiders: The Raiders’ forward recorded the first hat trick of his WHL Playoffs career Friday in his team series-opening 6-1 win against the Saskatoon Blades. Montgomery scored the first, third, and fifth goals of the game for the Raiders. The Calgary, Alta. 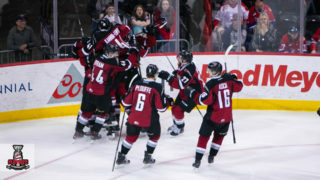 product now has five points (4G-1A) in five games during the 2019 WHL Playoffs. For his WHL Playoffs career, Montgomery has 12 points (8G-4A) in 17 games. 2. 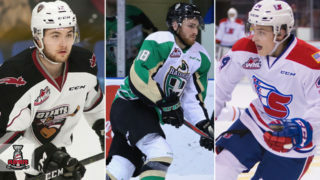 Brett Leason, Prince Albert Raiders: The 2019 NHL Draft prospect recorded a goal and four points in his team’s 6-1 win against the Saskatoon Blades Friday night in Game 1 of the second round series. 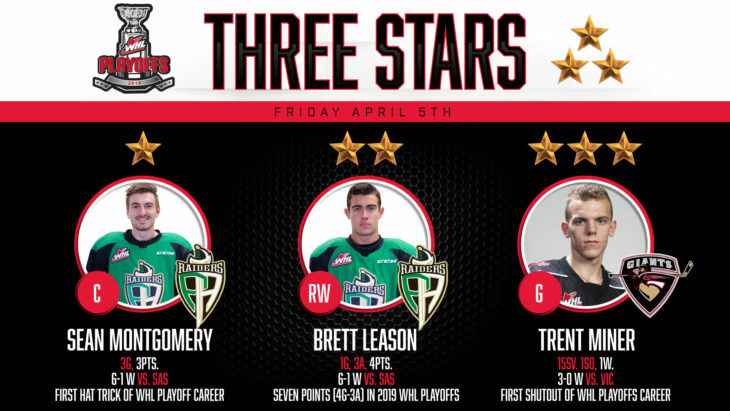 Leason scored the game-winning goal in the contest, adding assists on the first, third, and sixth goals of the game for Prince Albert. The Calgary, Alta. 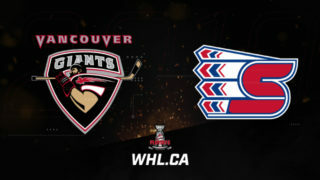 product now has seven points (3G-4A) in four games during the 2019 WHL Playoffs. For his WHL Playoffs career, Leason has 10 points (3G-7A) in 15 games. 3. 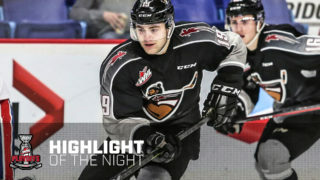 Trent Miner, Vancouver Giants: The 2019 NHL Draft prospect stopped all 15 shots sent his way in a 3-0 shutout of the Victoria Royals Friday. Miner stopped eight shots in the first, two in the second, and five in the third. The Brandon, Man. 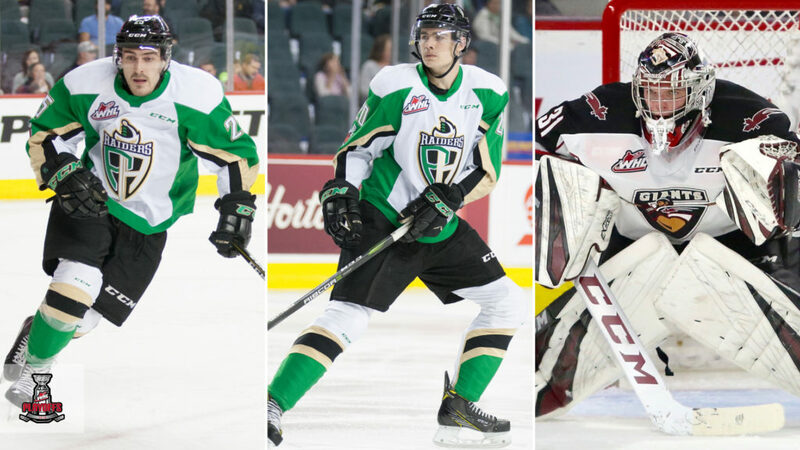 product has now appeared in four games during the 2019 WHL Playoffs, sporting a 3-1 record, 1.51 goals-against-average, .938 save percentage, and one shutout. 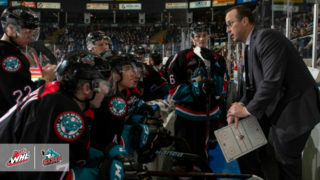 Miner has appeared in seven games for his WHL Playoffs career, maintaining a 4-3 record, 2.15 GAA, .923 SV%, and one shutout.